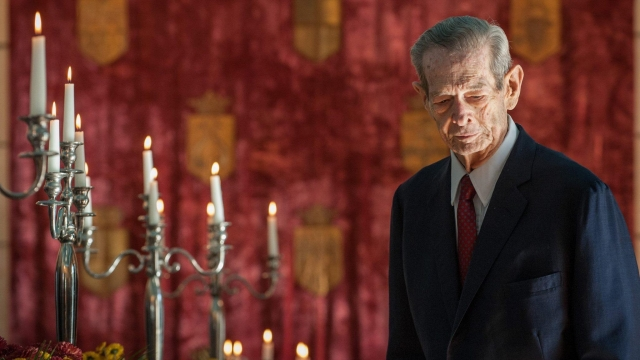 Michael of Romania was born on October 25, 1921, in Sinaia, at the Peles Castle. He was the son of Prince Carol and Princess Elena and his grandparents, King Ferdinand I and Queen Mary had a decisive influence on the creation of Greater Romania, celebrated on December 1, 1918. Grandson of Queen Victoria, on both sides, and descendant of the Hohenzollern royal family, king Michael had blood ties to most of Europe’s royal dynasties, from Great Britain to Greece and from Denmark to Portugal and Russia. King Michael, the last monarch to have survived World War II, the Nazis and the Communists, had two reigns and quite a tragic life. His name is attached to some of the most significant moments of Romania’s contemporary history. He first became king in 1927, when he was barely 6 years old Michael, after his sybaritic and extravagant father Carol II eloped with his mistress Elena Lupescu and abdicated. But Prince Carol returned and dethroned his own son in 1930; in September 1940 he abdicated and Michael became king for the second time, at the age of 18. It was the most dramatic and difficult period for the whole Europe engaged in World War II, and small countries like Romania were torn between the great powers’ alliances. Under the orders of Marshal Ion Antonescu, Romania fought alongside Germany, but on August 23 1944, the 22 years old king of Romania took the most important and courageous decision of his reign and one of the most significant all in all, arresting Marshal Antonescu and ordering the Romanian army to join the Allies. This historic move is reported to have shortened the war by half a year, sparing hundreds of thousands of lives. But once the Soviet army defeated the Nazis, communists took power in Romania and King Michael was forced to abdicate on December 30, 1947, the new regime threatening to kill thousand students who were emprisoned. A painful and long-lasting exile started, King Michael living in England, Italy and mostly in Switzerland. In November 1947, he attended the wedding of Princess Elizabeth and Philip Mountbatten, and there he met his future wife, Princess Anne of Bourbon-Parma, whom he married on June 10, 1948, in Greece, and by whom he had five daughters. King Michael had many skills: he had a genuine passion for mechanical engineering (especially cars and planes), but also for the artistic field; thus he composed an Elegie work for piano, and wrote a play, The Choice, together with the queen. At the beginning of their exile, they had a hen farm and King Michael sold eggs to the market on Sundays to support his large family; but he also worked as a broker in New York and in a small flight equipment company. King Michael never forgot his people and every year, until 1989, he adressed them a message through Radio Free Europe. 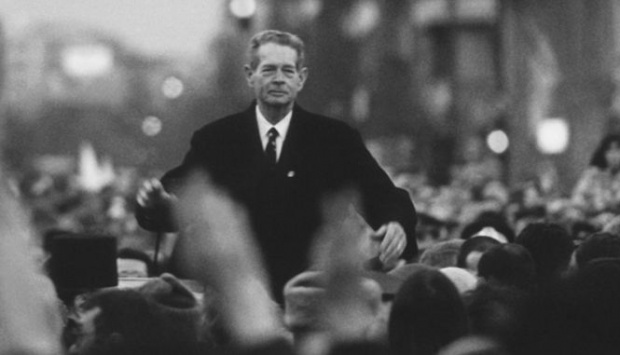 After the Romanian revolution in 1989, Romania’s new rulers, uncertain about their legitimacy, feared his possible claim of his throne and especially his growing popularity. So, he was allowed to visit Romania for only three days in 1992 and, despite (or because of) the extremely warm welcome he received from the Romanians, he had to wait until 1997 to be fully accepted in his homeland and to start getting back some of the family’s properties, namely the Peles Castle in Sinaia (clearly stating that it will always be open to Romanians). 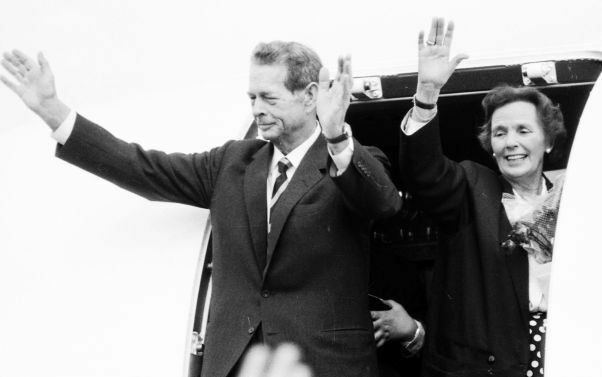 King Michael was highly respected around the world for his moral stature and dignity and the post-communist governments decided to take advantage of it, empowering the King to campaign for Romania’s entry into NATO and th European Union. Queen Anne died on August 1st 2016 and the same year King Michael withdrew from public life, announcing that his eldest daughter, Princess Margaret, would become Custodian of the crown. King Michael died on December 5, 2017, in Aubonne, Switzerland.